Just $58.50 for all four! From the moment we are born, the institutions of the planet own us – our lives are not our own. They give us a number and enter us into a system that not only traps us, but one of which most people have no idea they are even a part of. As we grow we are trained, cajoled, enticed, and manipulated. The very toys we are given to play with are manufactured to control our minds. The food we are given poisons us and ensnares us in a cycle of addiction. The system around us ensures we have no choice but to learn the teachings of an elite that wishes to maintain control over us. By using their own methods against them, we can reveal their subtle ways. The simplest methods, such as AIDA, are used every moment of every day. It begins with A, Attention. They then keep our I, Interest and build a D, Desire and call us to A, Action. Whether it is work, play or war, these methods are employed to control us and we don’t even realize it. From television to the Internet, from books to music, from groceries to energy, from politics to religion, our lives are not our own. It’s time to rip our minds away from the beast that devours our souls and live for ourselves. 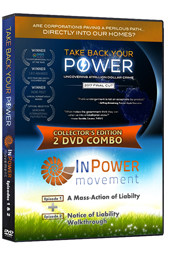 DVD, 60 minutes plus special features, separately $15. 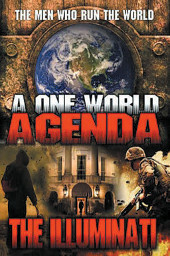 The World’s Most Powerful Secret Society Revealed … On the daily news we see war, disease, poverty, and man pitted against man. We see billions of impoverished people, displaced by power brokers. We see the super-rich getting richer. Many simply watch this news without understanding it or even trying to. They don’t know the bigger picture, the truth about what is really happening. The truth is, what happens out there, affects us all—and all of these world events are happening, not by chance, but by design. All of our lives are being affected by just a few men who are members of an elite group. Their ancestors plotted and schemed just as they are doing today. They affect all levels of society from lawmakers and enforcers, to religious and political leaders, to movie makers and media moguls, as well as industrial giants and pharmaceutical billionaires. Through clever manipulation, marketing, propaganda and force, they control the world, but they aren’t the politicians you’re thinking of because most often the politicians are pawns themselves. Instead, these people are members of a long line, a golden thread through history that stretches back thousands of years and can be traced through their own bloodline. 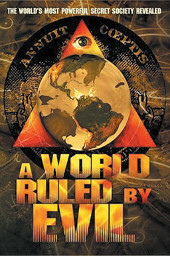 Welcome to the world of a very real and powerful secret society. 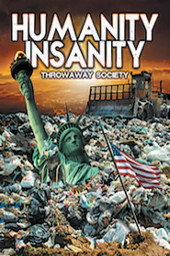 DVD, 60 minutes plus special features, separately $15. For years, the U.S. government denied they investigated UFOs, so when the existence of a secret Pentagon program to study the phenomenon was revealed in late 2017, the bombshell revelation made headline news around the world. The Pentagon’s classified UFO project was so cleverly hidden, it didn’t even use the term “UFO” in its title. 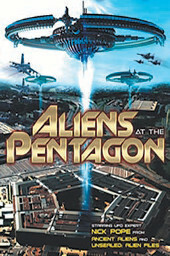 Known as the Advanced Aerospace Threat Identification Program (AATIP), this multi-million dollar classified program researched and investigated UFOs, with even Congress knowing nothing about this super-secret unit. Nick Pope used to investigate UFOs and other unexplained phenomena for the British government, leading the media to call him “the real Fox Mulder.” Now Pope exposes the secretive workings of the Pentagon’s real-life XFiles unit, using his past experiences to tell the incredible story as only an insider can. Learn the secret history of AATIP—how it studied videos of military jets chasing UFOs, looked at “mystery metals,” and even conducted tests on encounter witnesses. This work takes us close to a definitive explanation of the UFO mystery, but that explanation might not be the one people are hoping for, because the T in AATIP stands for “threat”—and there’s a reason. 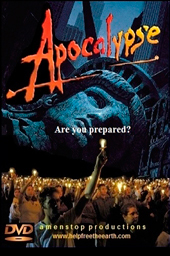 DVD, 70 minutes plus special features, separately $20. The Men Who Run the World . . . Their names have changed, their faces altered but their bloodlines remain the same. We see glimpses of their great and far reaching power, we see revolutions and war, and we succumb to their propaganda and manipulation again and again. Most have no idea that they are under the spell. 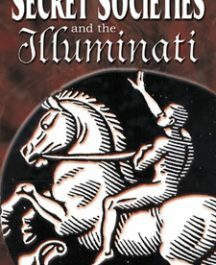 In the 18th century, they emerged into the spotlight briefly to bring about worldwide cataclysmic change and they called themselves the Illuminati. Quickly they spread and embedded themselves and their ideals within other secret societies and have infiltrated every aspect of society on all sides of the fence. This is the story of the world’s most powerful secret and sacred order. 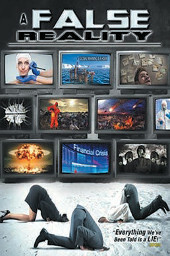 DVD, 60 minutes, separately $15.